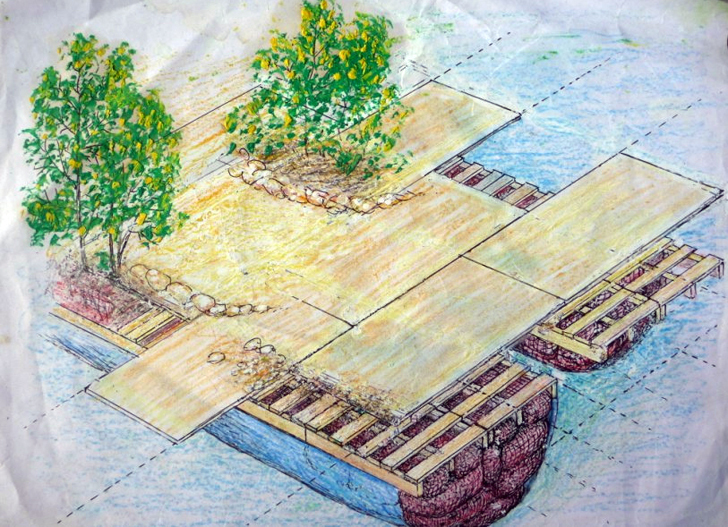 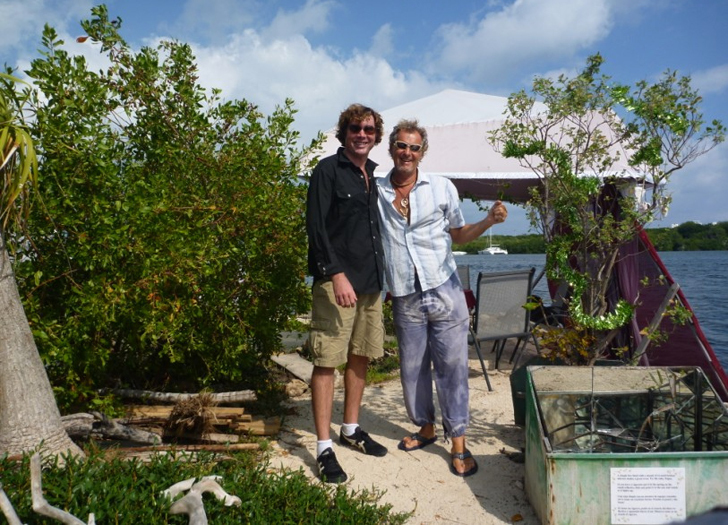 This post will cover the story of Artist Richart Sowa and how he went about building his man made islands. 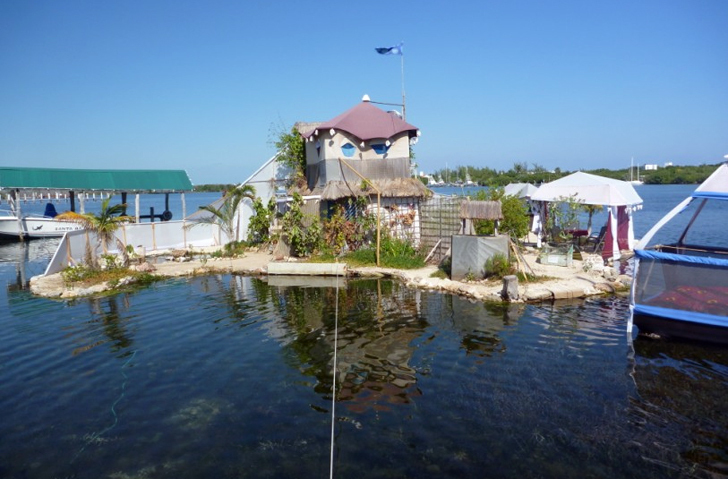 The first Island, was called Spiral Island and constructed in 1998, which was washed ashore by hurricane Emily in 2005. 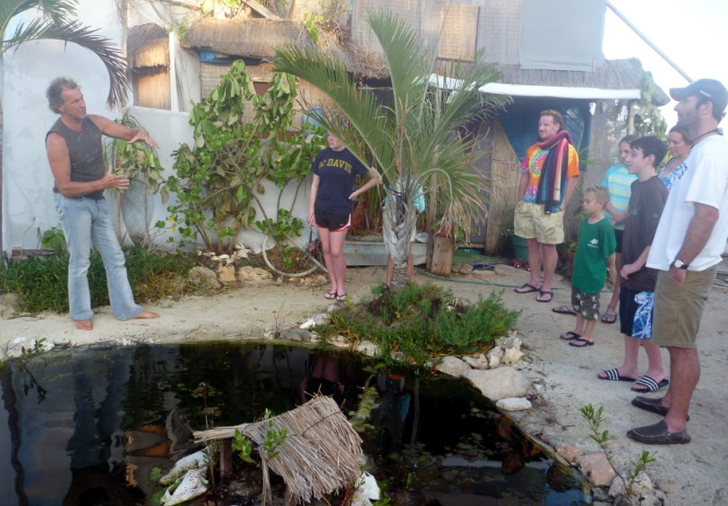 In 2008 he built Joysxee Island that is now opened for tours. 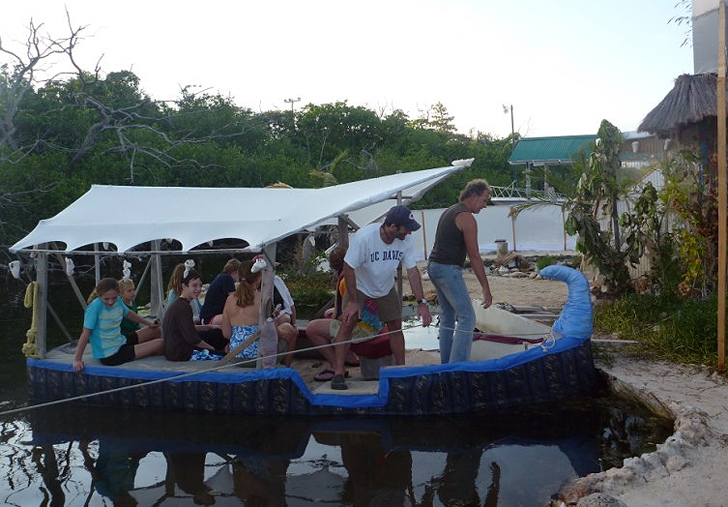 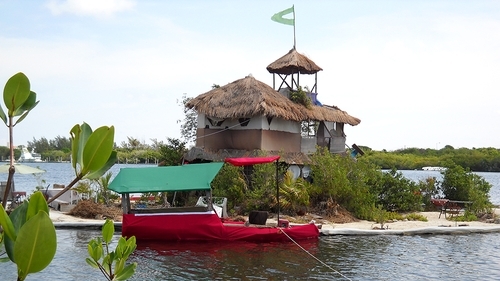 Here are some stats for Spiral Island: he used strong nets to hold 250,000 recycled plastic bottles on which he lay plywood and bamboo, sand on top of this, plus planting and a 2 story house with composting toilet and a solar oven. 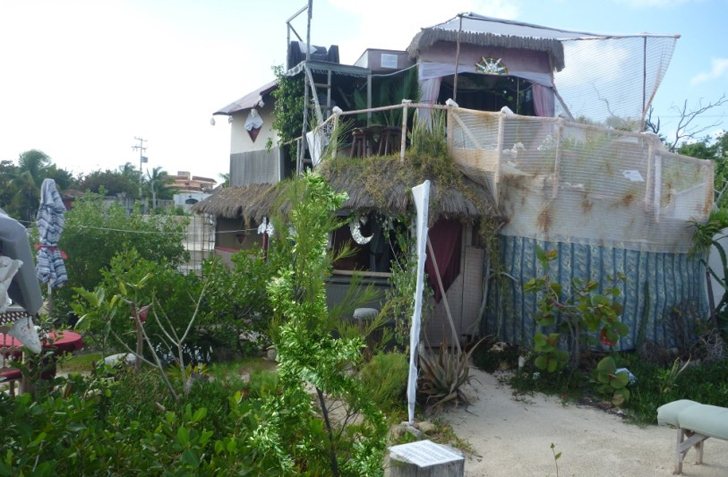 The mangroves he planted kept the structure so solidly together, that it was beached almost intact on shore after the hurricane (see the first video). 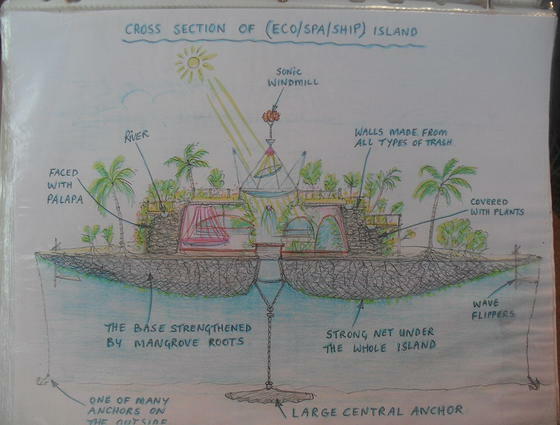 The second one, Joysxee Island is featured in the second video below, where Richart Sowa talks us through all of the ingenuous living comforts he built in to it and his future plans.